Yawner Japanese sedans with an autolethargic transmission don’t make many appearances here, but there is the odd exception. As usual, the unicorn factor strikes again, because when’s the last time you saw a Mitsubishi Tredia with 37,000 miles on it? Were you even a glint in your daddy’s eye? Or too busy buying white aviator shades to go with your white leather man-dals? Either way, it’s a rare sight, and it’s also striking how similar this looks to the contemporary Camry. Actually, this looks like someone put a first-generation Camry in a blender with a splash of Renault Alliance and a soupcon of Renault Medallion to come up with a perfectly anonymous sedan. Nonetheless, it’s pretty cool to see one that’s still so youthful in miles. 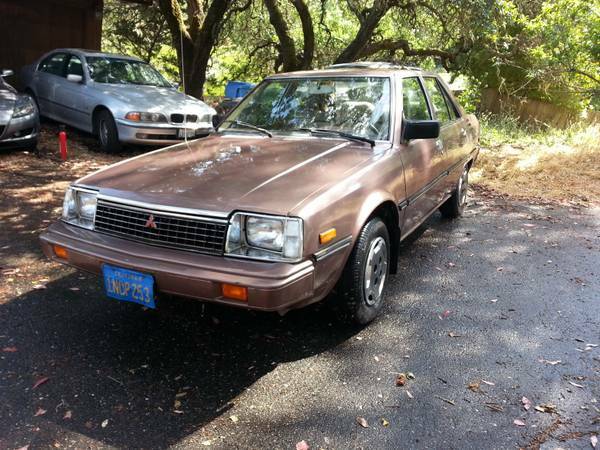 Check out this 1985 Mitsubishi Tredia for sale for $2000 in Novato, CA.